The Picamera is a very useful addition to your RaspberryPi , it is a capable of full 1080p recording and 5MP still images. We are now also fortunate to be able to do slow motion recordings (yes you heard me) and extensive time-lapse photography. 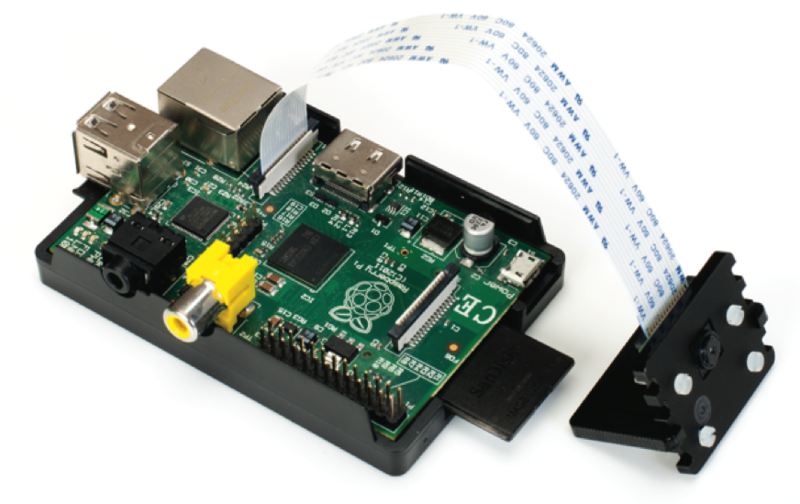 Your Pi Camera should always be be connected as follows before boot up, NEVER attempt to connect the camera when the Raspberry Pi is powered up.